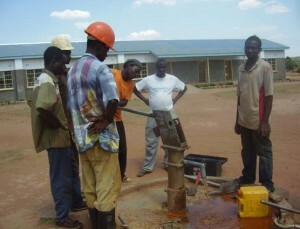 In North western Province, Zambia, our partner’s crews are repairing wells. This well is now once again serving clean, safe drinking water to nearly 1,200 people. These communities know the value of clean water and are so appreciative of the support they are receiving from you, our donors. The repair was completed in October 2008.